Today I got the first piece of a new project. I’m calling it the “Mystery Build”, because what I will be building is a mystery to others (and also to me). However, the first piece is not a mystery. 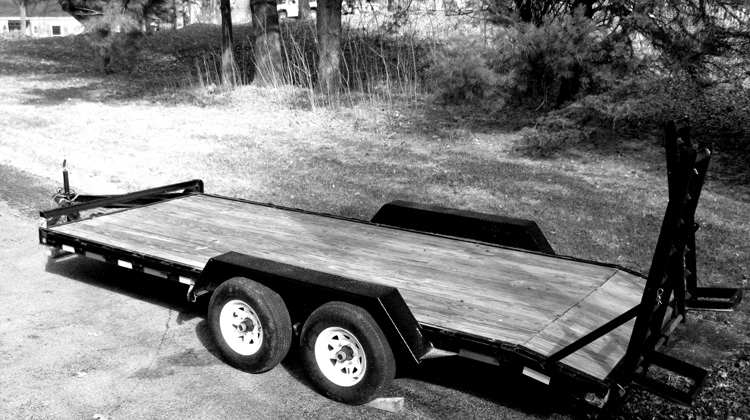 It’s a 7′ x 18′ flatbed utility trailer, with a double axle and a total weight rating of 12,000 lbs.